I submit that most actors who appear in movies made by the Coen brothers must be falling all over themselves to get even a small part in whatever new project Joel and Ethan have hatched. 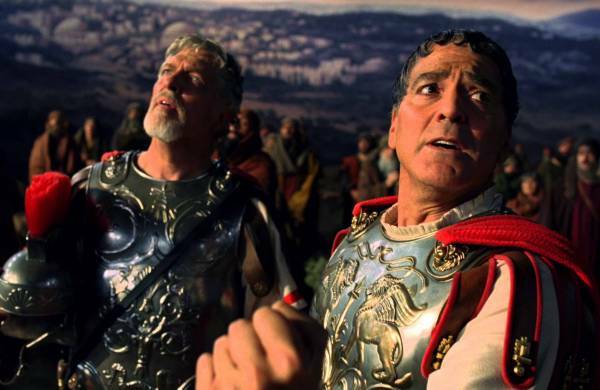 Such is the case with the one that’s just opened and the brothers have dubbed Hail, Caesar! of those who made this cast didn’t earn bushels and bushels of thousand dollars bills doing the Coen part they were lucky enough to snag. What well-known actors do get in such a deal as this is the fun of doing a picture that gives the “finger” to the roles they might be seen in more often … that do bring in the big bucks. Ah, show bid’ness. 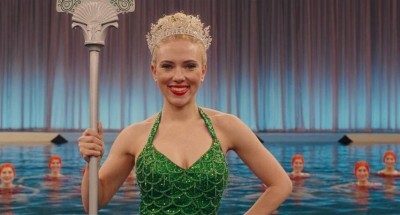 Other than Josh Brolin and George Clooney, who carry the movie, everyone is pretty much in a cameo. Why would well-known film stars want big pay checks plus a percentage of the box office when they can redeem themselves for other movies they’ve already done that don’t place the myths and legends of Hollywood inside a metaphorical piñata as have the Coens done with Hail, Caesar!, then bash it with a large bat? Cameos are handled by Scarlett Johansson, Ralph Fiennes, Jonah Hill, Frances McDormand, Channing Tatum and Tilda Swinton in a double role cameo of twins who are scurrilously-spoken Hollywood gossip columnists. Hedda Hopper and her doppelganger … or shades of Trumbo plus one. Yikes! Joel and Ethan put you in Hollywood during the Fifties with Brolin’s character, Eddie Mannix, up to his fedora in trouble having to run Capital Pictures. Eddie handles all that’s necessary to cover up foibles pulled off by his biggest stars; antics that are unacceptable for the decent folks back in flyover land. 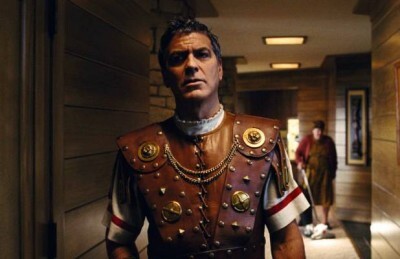 Clooney, in his Roman centurion garb, is a Hestonesque character named Baird Whitlock. Baird isn’t the brightest bulb down along Hollywood and Vine. He’s kidnapped from the studio while shooting a Bible epic and taken ransom by some Hollywood Commies of the 50s. They’re holding him at a swank beach house just a hammer and sickle from the world’s largest ocean. I lost it during the Hollywood Commie cell meeting scene. Such intellectualizing you have never heard before; Baird missing it all. The film has memorable bits, but holds not too well together. Although it may play a bit too much to the “wings,” it entertained the heck out of me — despite its abrupt finish and no denouement. If I recall correctly, approximately the first half of Hail had everyone chortling. 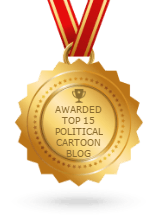 Laughs subsided as the narrative graduated to more politics and deeper, yet humorous cynicism. Some people may feel dissed by what they see as irreligious innuendo. I laughed myself silly, but confess: I’m a Coen bro freak. 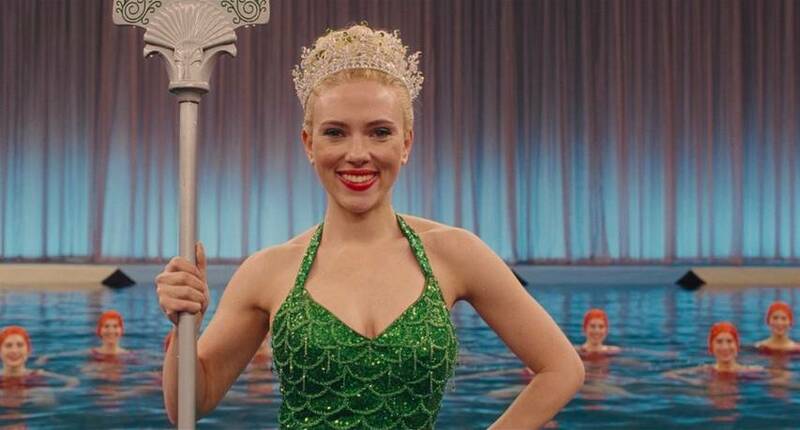 For me, the only real issue with Hail Caesar is that Scarlett Johansson didn’t get more face time.